The name may sound confusing for this simple yet festive and surprising dessert. I couldn't find a better translation to an unpretentious home treat of the 70-80-s when it became very popular in Russia. The stores were practically empty at some point, and not many people could successfully bake. This no-bake dessert did not require any skills and came to a rescue when nothing more could be served. Young kids loved it and many teenagers (including yours truly) enjoyed making it in a company of friends. 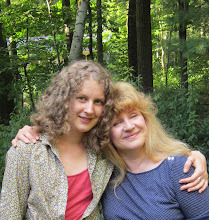 On Christmas this past December it was tried once and again with great success. 1. Break chocolate in a small pot, add milk and place it in a bigger pot or skillet filled with water, put on low to medium heat to melt (see pictures below). 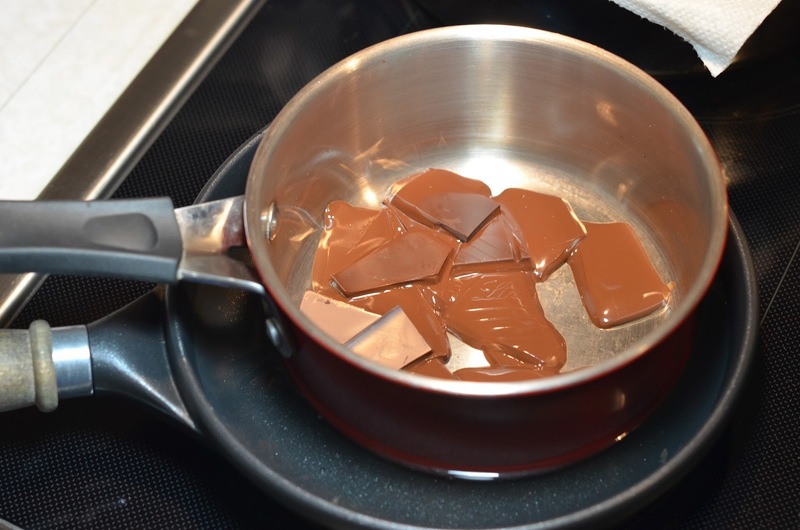 This method prevents chocolate from sticking to the bottom of the pot. Stir occasionally. 2. 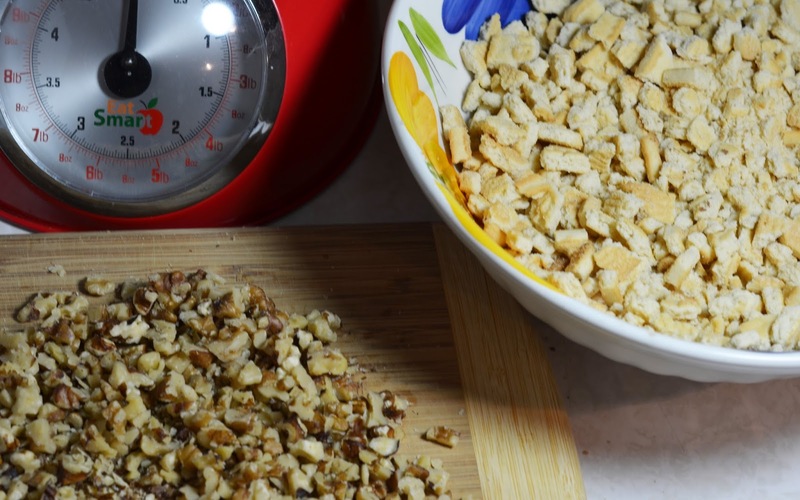 Chop nuts and break cookies in small pieces. 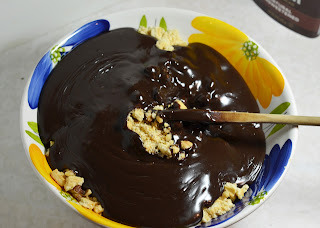 Mix together in a large bowl. 3. Add cocoa and condensed milk to chocolate, stir until smooth. Add butter and warm up on medium heat constantly stirring until melted and almost boiling, add cognac, stir, set aside. 4. 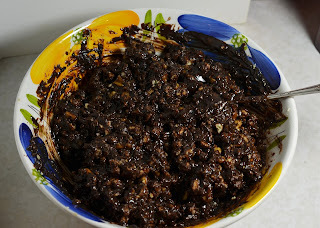 Pour chocolate mixture into nuts and cookies while it's still hot, mix promptly before it starts to thicken. 5. 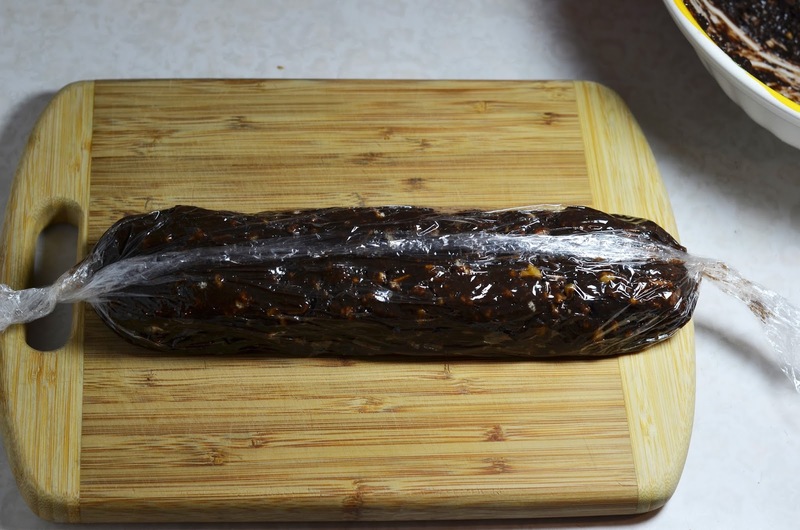 Spread clear plastic wrap on a board (about 14-16" long), form a "kielbasa" (the mixture should be still warm and manageable), roll, twist the ends. 6. 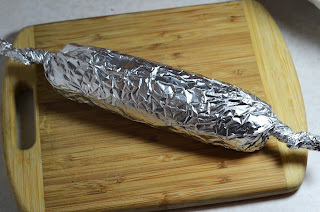 Roll also into aluminum foil, freeze for 2-3 hours before serving. 7. 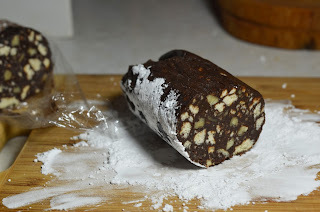 When you are ready to serve, unwrap your chocolate "kielbasa", roll (or just rub with your fingers) in confectioner's sugar and slice. 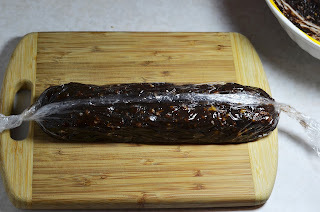 Looks like kielbasa, doesn't it? :) But what a surprising taste! It can be made a few days in advance. The day before you need it, move "kielbasa" from the freezer to the main compartment of the fridge to slowly thaw. 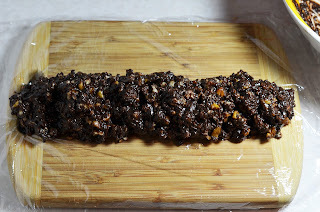 Nuts can be skipped. Actually, the original recipe, its simplest version, included only cookies, butter, condensed milk and cocoa. 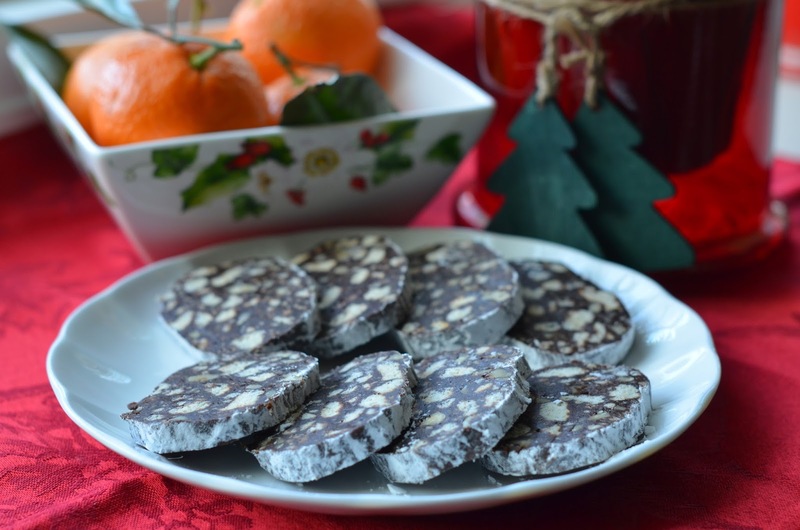 The cookies of the original recipe were simple Russian cookies that now can be obtained in every Russian store here in America (you can see them on the second picture of the post). 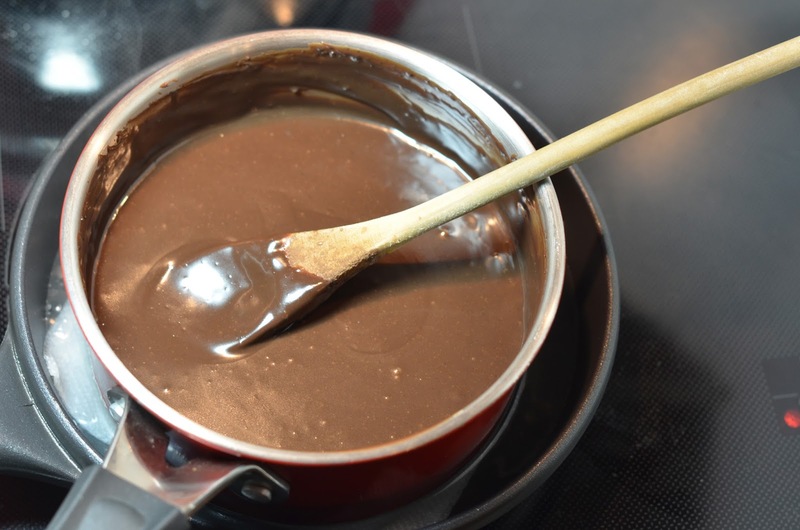 Do not confuse condensed milk (which is thick and sweet) with evaporated milk (which is liquidy and not sweetened).